Travelers with animals comprise a fairly small niche within the greater context of the airline industry, but recently a spotlight was thrown on the often tricky, contentious, and (nowadays) expensive issue of pet travel. First, we had a cheetah loose in an airline cargo hold, and just a few days later came [[Delta Air Lines | Delta]]’s new $150 one-way pet-in-cabin fee. 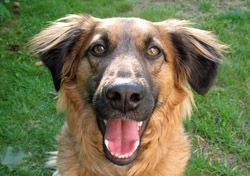 The fee prompted us here are SmarterTravel.com to gather some feedback from you, our readers, on [[pet travel]]. First of all, 72 percent of respondents answered “yes” to the question, “Do you think passengers should be allowed to travel with dogs and cats inside airplane cabins?” Only 22 percent said “no.” As overwhelming as these numbers are, they’re especially noteworthy considering only 25 percent of respondents have ever brought a pet aboard. 56 percent have not. My guess is that most flyers are similarly unhappy with Delta’s fee, so it will be interesting to see if other airlines raise theirs. Resounding negative feedback occasionally reaches the ears of airline executives and, believe it or not, can even influence their decisions, as we saw last week when [[United]] canceled plans to raise baggage fees. I’ll keep an eye on Delta’s competitors (and Delta itself) to see what, if anything, happens next.